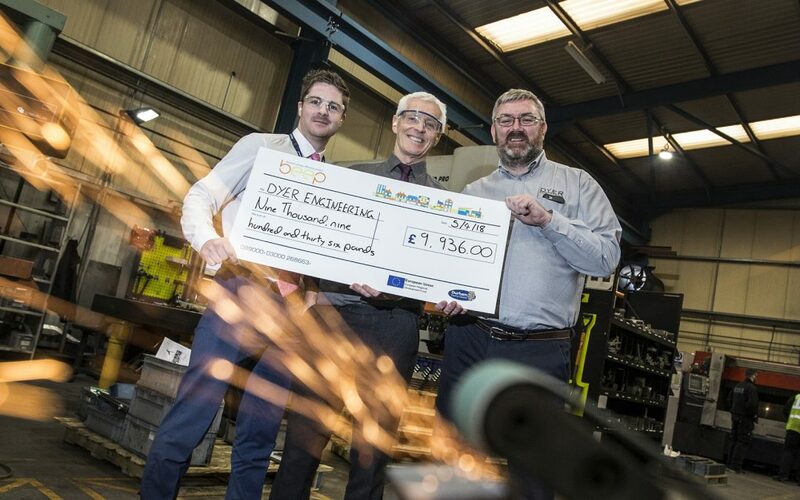 Business Energy Efficiency Project (BEEP) received recognition from the Interreg Europe programme for the excellent support it provides to small and medium enterprises (SMEs). BEEP, a partnership with Durham County Council, Business Durham, The North East Chamber of Commerce, The Federation of Small Business, The North East Local Enterprise Partnership, and Northern Powergrid is supported by the European Regional Development Fund and is part of the LOCARBO project, a transnational project that identifies and shares best practice around energy efficiency. BEEP raises awareness of energy efficiency measures with local businesses, so that they can enjoy the associated economic benefits, assisting them to become more competitive and enjoy a better chance of success in the future. SMEs often lack the capital and the capacity to implement energy changes, and as they make up 99 per cent of all businesses, projects like BEEP are essential to assist them. The project offers grant funding, initial performance assessments and recommends potential actions for improvement. The Interreg Europe programme recommended BEEP as an example of good practice that could be followed by other regions of the EU.